Facebook is a powerhouse social media platform. Its 2 billion users make it a great place to connect in Facebook groups and a great vehicle for targeted online networking. 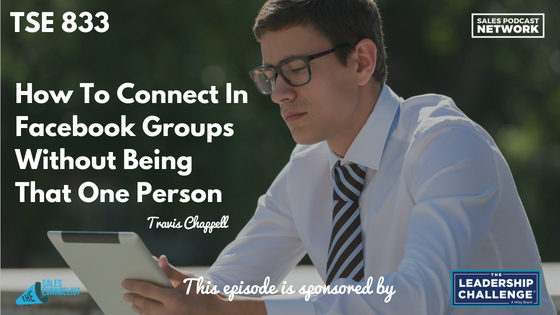 On today’s episode of The Sales Evangelist, we’ll talk with Travis Chappell, founder and host of Build Your Network podcast, about how to connect in Facebook groups. Just like asking directly for the sale with no relationship doesn’t work in a face-to-face setting, it doesn’t work in an online setting. Be giving. Add more value than you subtract. Be genuine. Build true connections. Understand that networking and friendships don’t have to be separate entities. In effect, networking is creating friendships with people who have similar interests to yours. Marketing is a long-term game. Go to your profile and evaluate what people see within the first 10 seconds of visiting your profile. The first thing people will do when you connect with them in a Facebook group is visit your profile. Your first impression online is as important as your first impression in person. Make sure your photo represents you well. If your photo has a group of people in it, consider changing it to a photo that reflects you only. Use your profile photo and your cover photo to show visitors what you’re all about. Many people are going to view your photo and it’s essentially a free billboard. Sales professionals have a tendency to make relationships into transactions. They sometimes ask for business right out of the gate. In Facebook groups, this kind of conduct won’t benefit you. Facebook algorithms prefer people who engage with community, and it doesn’t like external links. As a result, if you aren’t engaging with the people in a group and you show up simply to post a link, Facebook won’t show your link to many people. If you engage with people in Facebook groups, consider it a long-term investment. Expect to spend three to six months building relationships and engaging with people there. Post valuable things that make it easy to engage. Ask questions. Seek feedback. If you post something of value that generates responses, make sure to respond to those comments. Rather than simply collecting comments, engage with the people who are responding. 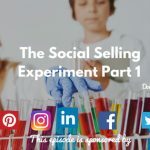 There is no silver bullet for any sales activity. Instead of looking for shortcuts, put in the work to build relationships in the group. 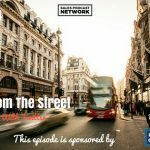 Find Travis and his podcast at buildyournetwork.co, and connect with him on social media from there. Grab a copy of the book Stop Selling & Start Leading, offered by our friends at Wiley, to help you become a leader to your buyers by presenting value and building relationships. The book provides a blueprint for your customers and what they are seeking. Read an excerpt of the book here.